Eric pokes fun at me a lot, because of the little things in life that get me excited. Little things like going to get an ice cold sno-cone (it must be Hawaiian shaved ice). Picking up a new cookbook. Even rolling around in mud (yes I was completely giddy about doing my first mud race). I even get excited and a little rush from cooking. Like a good bread kneading, great for when you need some stress release. Or whisking. I love taking a good ‘ole whisk to a big bowl of heavy cream (homemade whip cream, *drool*) or a homemade vinaigrette. Nothing like trying to force oil and water to mix together. This simple salad also makes my heart sputter. 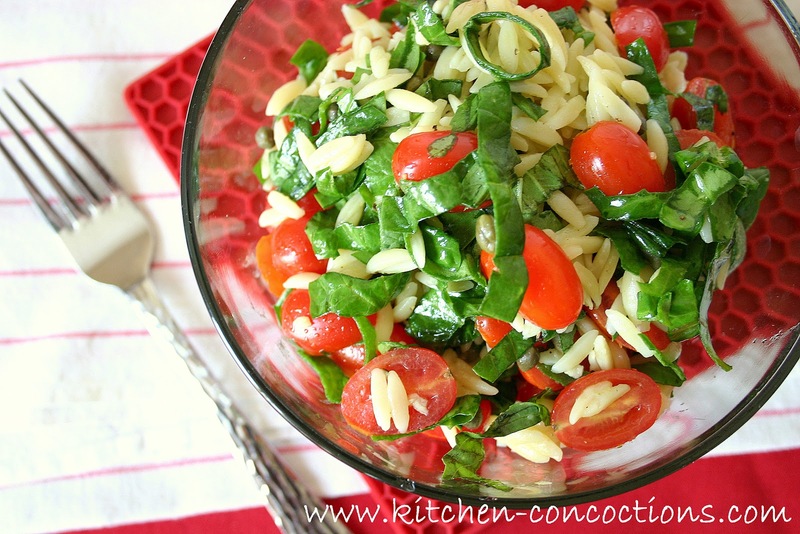 I love the texture and cuteness of orzo pasta. 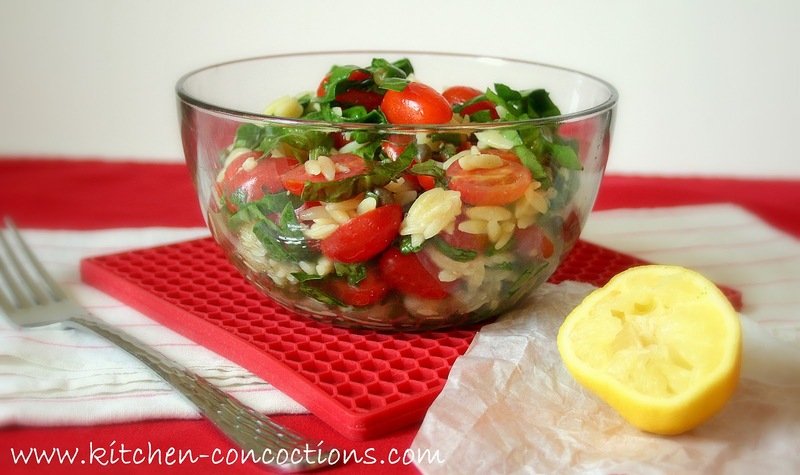 And the flavors of this salad, tomatoes, basil, capers, lemon and garlic; complement each other nicely and makes my taste buds happy. 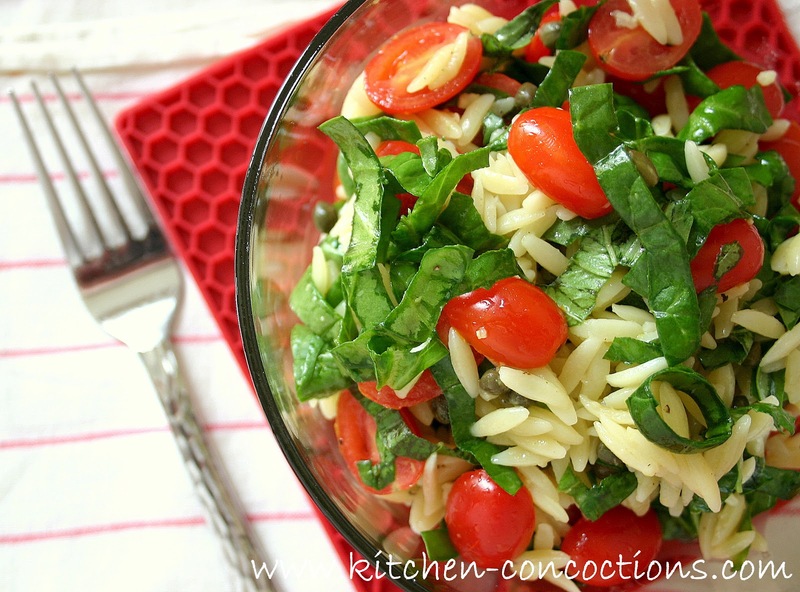 Cook orzo according to package directions and cool. Place all ingredients in large mixing bowl. Add dressing as desired and toss to coat. Can be served warm, at room temperature or chilled. There is nothing about this that I don't like. And it's perfect for summer!